Getting time off when you’re sick, or need to care for a new child or ailing parent, shouldn’t be a luxury enjoyed only by those who are financially well off. Yet low-wage workers in the United States — the workers who need paid leave the most — typically have this key benefit denied them. But not anymore in Washington, D.C. Activists in the city recently overcame stiff opposition from corporate lobbyists to win one of the country’s most generous paid-leave policies. The new law guarantees eight weeks of paid time off for new parents, six weeks for those caring for sick family members, and two weeks of personal sick time. 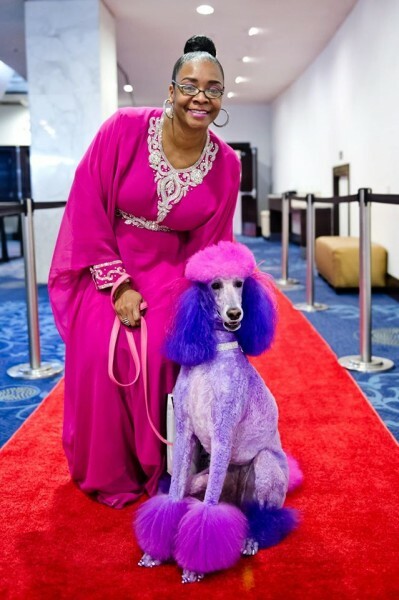 One key to this victory: outspoken support from small business leaders like Ethel Taylor, owner of a local pet-grooming parlor called the Doggie Washerette. Taylor first became involved in the paid-leave struggle when she met an activist with the Main Street Alliance, who was going door-to-door down D.C.’s Georgia Avenue talking to business leaders about the paid-leave plan the group was backing. The plan’s novel mechanism for funding paid-leave benefits particularly impressed Taylor. The D.C. law will use a “social insurance model” funded through a 0.62 percent payroll tax on all private-sector employers, so none of them will have to pay the full cost of employees’ sick time. “I would’ve been gone tomorrow if I’d had to pay out of pocket for the cost of an employee’s leave time,” Taylor told me. The compensation employees will receive under the new D.C. law significantly improves upon leave policies in other jurisdictions. The District government will reimburse employees for 90 percent of their first $900 in weekly pay and 50 percent of their remaining weekly pay, with a limit of $1,000 per week. By comparison, private sector employees in California can receive only up to 55 percent of their wages. Taylor has in the past taken her beautifully groomed standard poodle Joy to campaign events for candidates she supported. But the D.C. paid-leave drive has otherwise been her first encounter with political activism. She had some special motivation. Taylor personally had to take a lot of unpaid time off after her husband was diagnosed with cancer. Under the D.C. law, business owners like Taylor can also tap into the paid-leave fund. Working with the Main Street Alliance, Taylor attended public meetings, penned a commentary in support of the paid leave law, and did other media interviews. The new legislation, adopted on December 20, will cover everyone working in the District for a private sector employer, including the self-employed. At the federal level, we can’t expect much action on family-friendly work policies in the near future. The man nominated to be the next Secretary of Labor, fast food CEO Andrew Puzder, is strongly opposed to paid leave policies. But as Washington residents themselves proved, cities and states don’t need to wait for leaders in Washington to act. D.C.’s successful campaign for comprehensive paid leave offers important lessons for other communities — not least that small businesses and employees can be on the same side. The post Great News for People Who Get Sick appeared first on OtherWords.